The average cost of renting a home is now rising across every UK region for the first time in almost two years, according to the latest Landbay Rental Index, powered by MIAC. Rents grew by an average of 0.07% in January, marking what is expected to be the start of a year of sustained rental growth for the UK. The average UK rent now stands at a record £1,198 per month, a 0.66% increase on this time last year. While rents in the capital (£1,876) remain around 2.5 times the rest of the UK (£760), this is still £16 a month shy of the £1,893 record set in May 2016. Much has been made of the sinking rents in London, which have fallen in every month since that record was hit in May 2016, however the capital is no longer exerting such downward pressure on the national average. Rents in London grew by 0.03% in January, softening the year on year decline to -0.54%. While every region saw rising rents in January, the speed of rental growth has not been consistent across the UK. At a country level, Wales (0.10%) had the most rental growth, while Northern Ireland (0.01%) lagged behind. From a regional perspective, the East Midlands experienced rental growth of 0.18% in January alone, followed by the East of England (0.13%). Meanwhile, rents in the North East paralleled the 0.03% growth seen in London. Recent forecasts from Savills have predicted that rents will rise by 2.5% this year, and by a cumulative 15.5% over the next five years1. 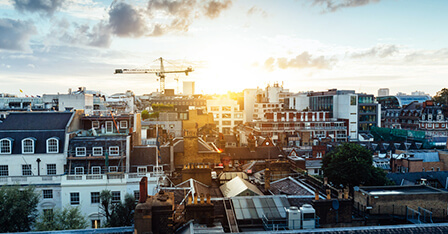 This forecast reflects the current state of the buy to let sector, which has faced a number of tax and regulatory changes that threaten to exert upward pressure on rents. If rents do continue to rise, it suggests that the increased cost and compliance pressures on landlords are beginning to flow through into higher rents for their tenants. John Goodall, CEO and founder of Landbay said: ‘With all the tax and regulatory changes landlords have shouldered over the past couple of years, an uplift in rents has been on the cards for a while, and is likely to continue into 2018.